We offer a selection of custom embroidered union made apparel includes everything from quilted, flannel-lined union made jackets to union made hooded fleece jackets, fleece sweatshirts, knit cuff beanies and Bayside union made twill sandwich caps; proudly made in the U.S.A. Many of America's top businesses and corporations order custom embroidery on company apparel for their staff and the construction industry is no different. 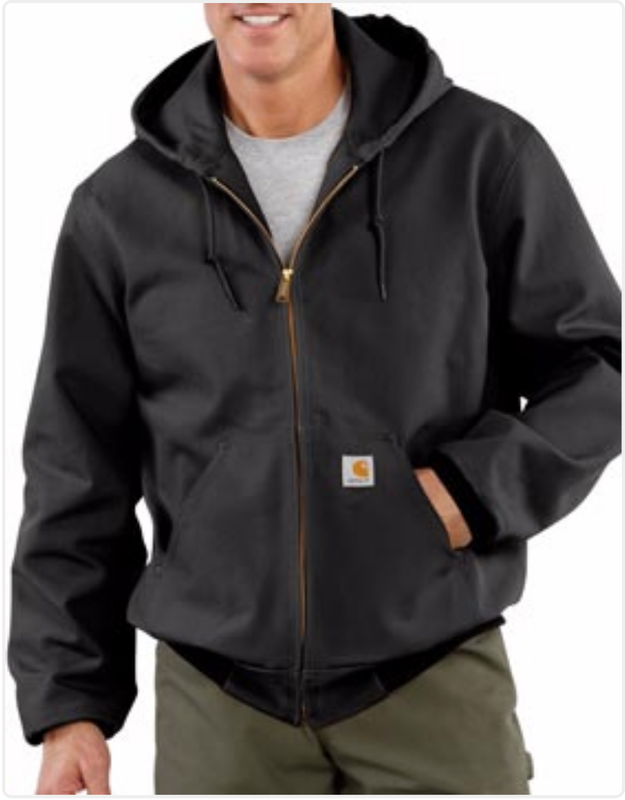 Protect your work crew from the elements and custom embroider your company logo on a wide selection of construction jackets including classic three season embroidered jackets, wind jackets, hooded work jackets, quilt lined work coats and parkas, plus embroidered work jackets with reflective tape. 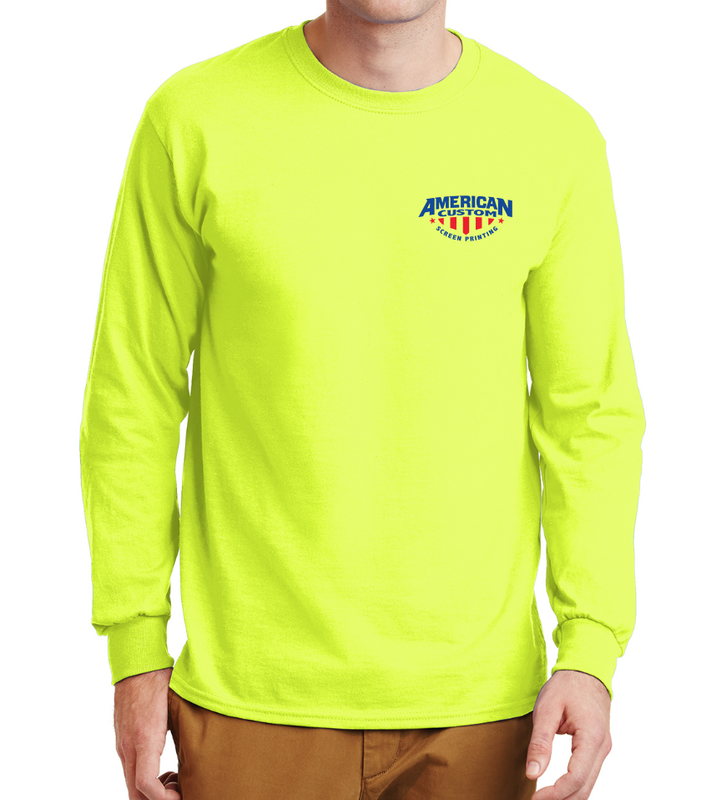 American Custom not only provides quality apparel but experts at screen printing for your construction business. We offer personalized custom apparel printing on all types of work clothing, uniforms and promotional apparel products including custom screen printed t shirts, ladies and men's custom polo work shirts, heavy duty work sweatshirts, and more. Order personalized, custom printed or embroidered contractor apparel includes embroidered construction work shorts and work pants, plus short or long sleeve work shirts and dress shirts. Display your company logo with embroidery or printing on any of our industrial work shirts including twill work shirts with stain release and short or long sleeve uniform dress shirts. We will also also do screen printing and custom logo embroidery on hats and beanies, which many construction companies order for their crew or employees. We carry a wide variety or headwear, froms hats to knit beanies, trucker hats, moisture wicking hats, performance hats, pigment-dyed hats, and union made caps and visors. High visibility workwear, work shirts and reflective outerwear are a staple of all construction sites so why not promote your outfit with custom logo printing or embroidery. American Custom offers customized printing and personalized logo embroidery on high visibility work shirts, plus protective rainwear, vests and construction jackets with reflective taping. Order Your Custom Embroidered Construction Apparel Now!